Is your eCommerce business growing? "Our Six Vertical team gives us much-needed skills and has taught us how to run our eCommerce business smarter." We provide you with experienced full-stack developers that help you build amazing digital experiences, faster. Stay top-of-mind with customers with dependable on-schedule execution of email, search and social media campaigns. Our content teams create quality content for multiple digital channels and help you become a more creative organization. A dedicated Client Success Manager coordinates production schedules and resources so you can focus on running your core business. We do one thing... eCommerce. Our single focus is helping companies solve the challenges of running an eCommerce business. As operators ourselves, we understand the disciplines and technologies companies need to build a high-performing eCommerce site. eCommerce user experience is a core strength of our agency. 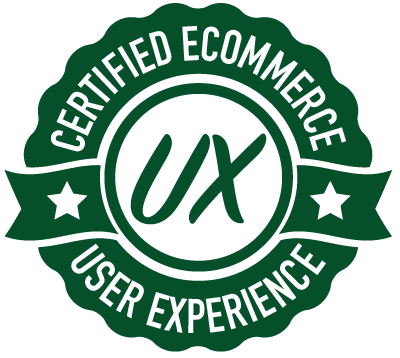 Our certified user experience consultants proactively help improve your site's UX performance. We show you the chokeholds that create friction for site visitors and dissuade them from making a purchase. We provide you with access to a deep set of eCommerce usability data that will change how you view and think about your storefront interface. Having deep technical knowledge of modern commerce technologies is the foundation of our business. We specialize in the Shopify Plus, Magento and Salesforce Commerce Cloud platforms. We're help you stay ahead of the eCommerce technology curve and get the most from your platform investment. StayIn PDX makes it easy for busy professionals to cook healthy dinners with locally-sourced ingredients and zero planning ahead. StayIn PDX chose Six Vertical to build a custom Shopify app and enhance their eCommerce site with innovative capabilities that paved the way for signing agreements with high-volume corporate accounts. Learn how the top e-commerce sites in the world create high-conversion designs by leveraging usability data that uncovers design issues that unnecessarily cause shoppers to abandon your site. Learn about the top four ways companies are delivering self-service digital commerce experiences to their customers, partners and employees on Salesforce. Many Salesforce developers are stuck in the mundane repetitive world of maintaining native business applications. But there is a way out. Predictive analytics is helping sellers better understand consumer behavior and predicting future events leading to the sale. Our take on the Salesforce and Forrester Consulting report that examined ROI of switching from Salesforce Classic to Lightning. We discuss the top technnology trends of 2018 impacting eCommerce businesses. Teaser... more analytics, chatbots and micro-moments.